Named after a note left by a 16 year old girl that was unearthed in the restoration process, Anayela literally means "I am Yela", and with it, a clandestine love story that was hammered into the vast silver doors throughout the house by one of the most renowned calligraphers in Morocco. German entrepreneur Bernd Kolb lovingly restored the gorgeous 300-year-old city palace using only traditional Moroccan craftsmanship, with the entire restoration carried out by hand by more than 100 artisans. 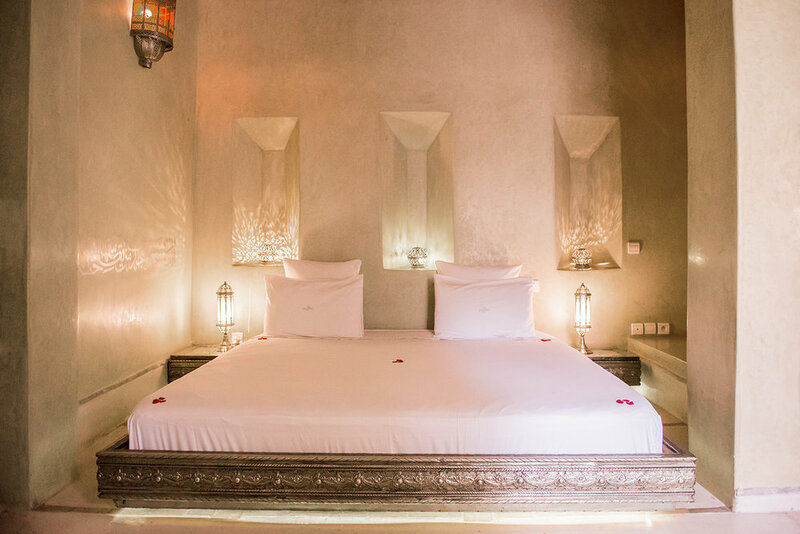 In typical palace design, the boutique hotel revolves around a central courtyard with heated limestone pool and features a stunning rooftop terrace that overlooks the historic medina. 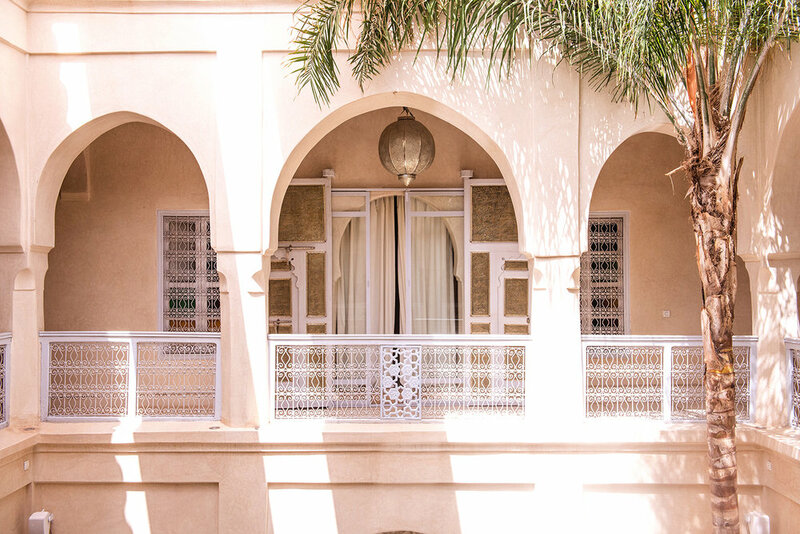 Complimenting the natural berber-style color palette, the palace is filled with beautiful furnishings, every piece designed by Kolb and finished by Moroccan artisans, creating a hushed sanctuary which is an art piece in itself. The hotel’s three rooms and two suites are elegant and minimal is design in natural hues with cream tufted rugs, white poufs, limestone walls and carved silver lanterns. All offer a king-size bed, with 2 of the rooms having direct pool access as well as a bathtub and rain shower. The two suites each boast a two-person bathtub and a fireplace, while some rooms feature a private terrace. Highly personalised service and flexible mealtimes. 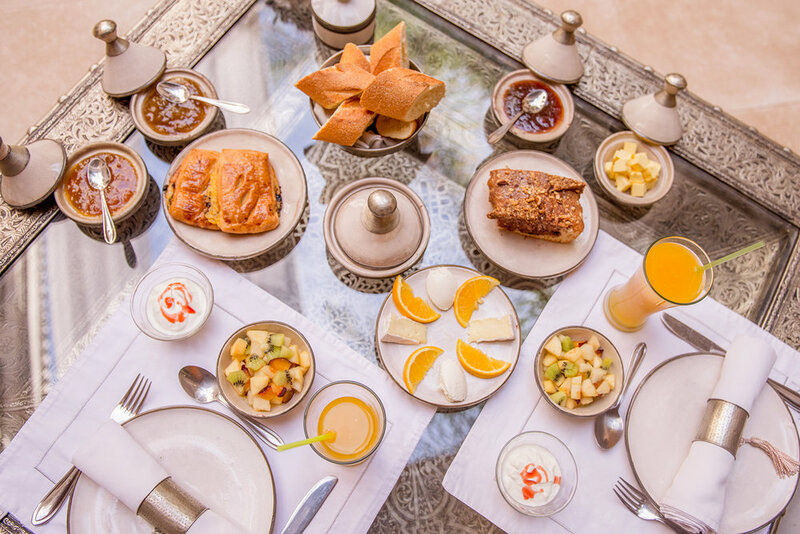 Breakfast includes includes fruit salad, cheeses, dried fruit and nuts, pastries and Moroccan crepes and eggs to order. The Moroccan chef can create a special dinner on request taken in your room, poolside, or on the rooftop terrace. 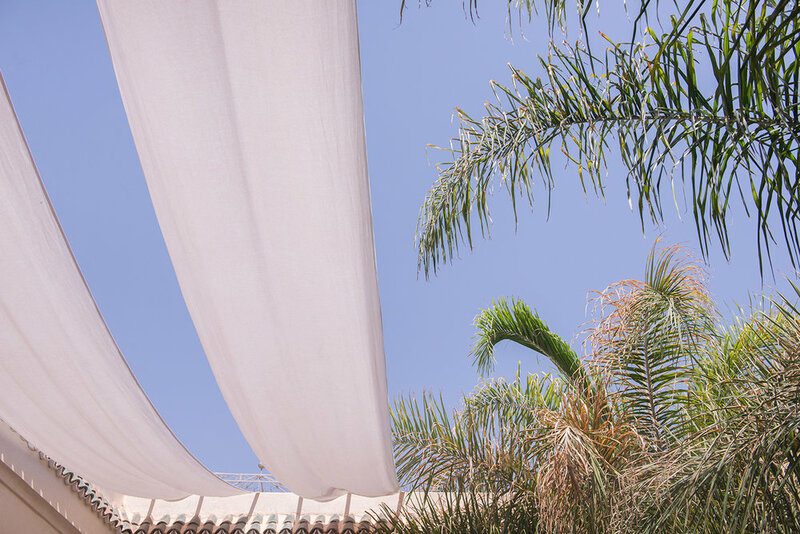 Roof terrace with wide-sweeping views across Marrakech to the Atlas Mountains and a plunge pool for cooling off in after exploring the medina. Located in one of the quietest, non-touristy parts of the medina. AnaYela is tucked away in the north of Marrakech's medina, 5 minutes' walk from the Porte Ayadi gate. International Airport in Marrakech is 15km away. Standard room $148/254, Superior $169/286, Suite $191/350. 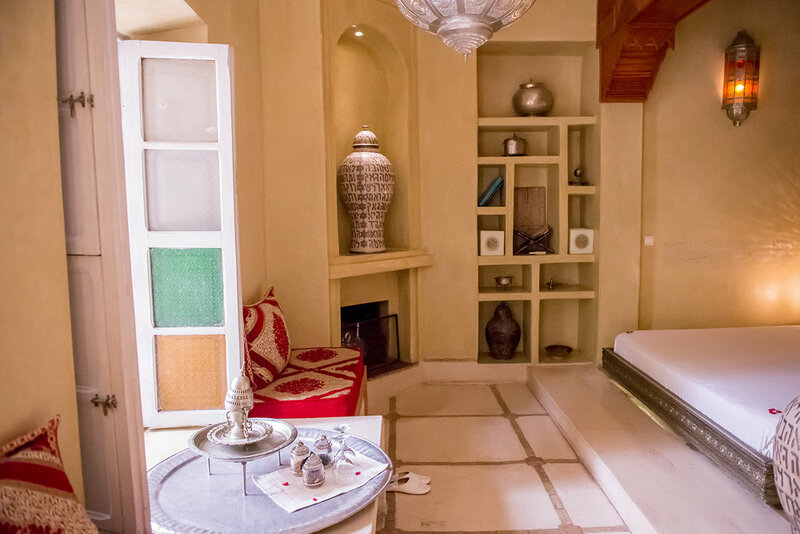 *Entire Riad sleeps 10 and is available to book, please inquire for rates and availability. Riad is not suitable for young children, as there is no room for extra beds, however children under 1 may sleep in their parents' bed. Cultural evenings at the riad including a story teller, snake charmer, fortune teller, dancer and henna painter, all accompanied by gnaoua musicians. AnaYela adds to the authenticity by inviting local Moroccan friends to share in the evening. Tour to a hidden Berber village in the Atlas mountains, exclusive to AnaYela guests. Trips to the stylish coastal resort of Essaouira, the famous hippy trail destination with a small white medina, charming port and fantastic windsurfing. There are free transfers to the Djemaa el Fna square, plus guides laid on in every language to show you around and help with the necessary haggling. Admire the Koutoubia Mosque's 70m high minaret, sit in a rooftop cafe and people-watch, or head into the rabbit-warren souks and barter for leather goods, cowhide lamps, bedspreads, pottery and exotic spices. In-room treatments including relaxation massages, manicures, hairdressing and the AnaYela Love Special (a romantic bath for two with rose petals, incense, bath oil, champagne and cakes - Suites only).